I love spring…the world is awakening…the snow is melting, the temperatures are climbing, and there is more daylight. In a few more short weeks, the daffodils will be in bloom and the world will be full of color. 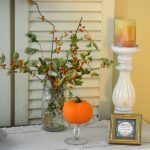 Since it is officially spring, it is time to freshen up our home. Changing out pillow covers is a quick and affordable way to refresh your home decor. 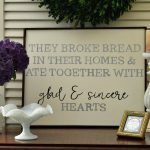 One of my favorite places to find pillow covers is Hobby Lobby. I picked up a plain muslin pillow cover for 50% off…which then came to just $2.50. I have been admiring all of the beautiful and inspirational use of pillow covers that I see on Instagram. 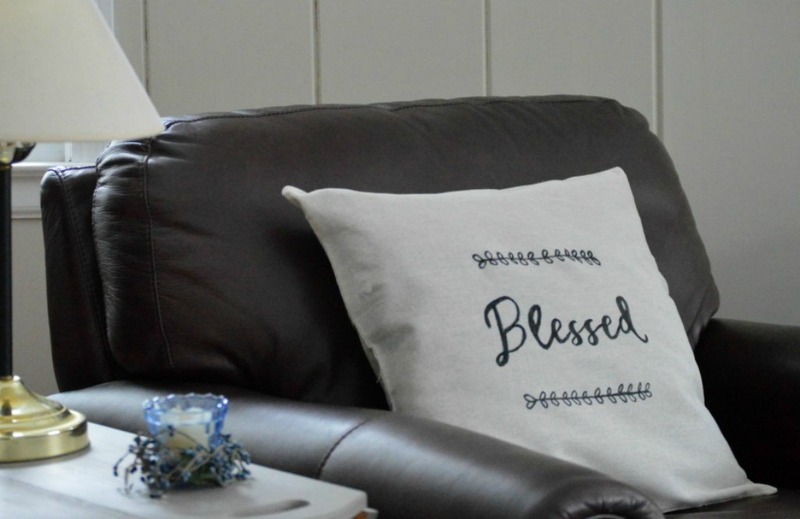 I thought that this neutral bargain pillow cover would be the perfect blank slate for adding some farmhouse charm. 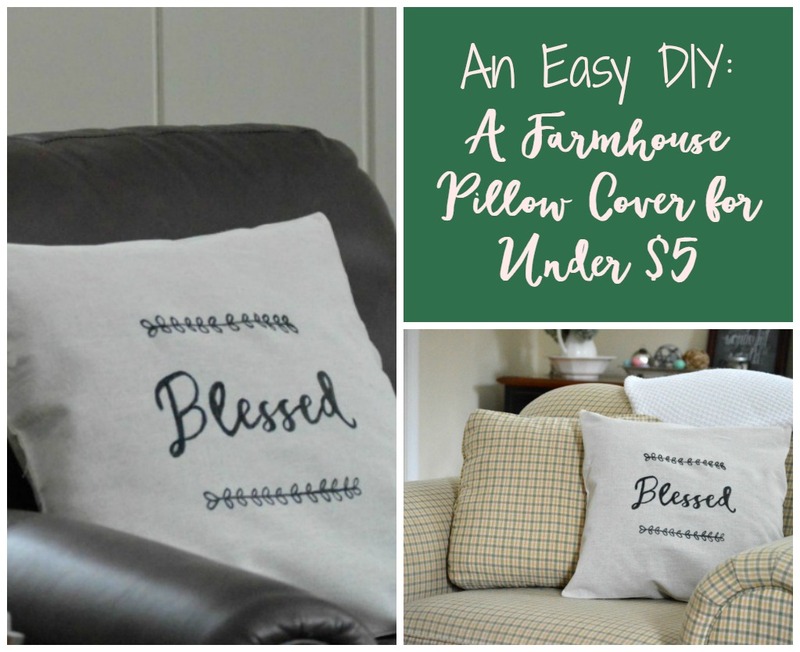 This simple DIY farmhouse pillow cover came together very easily in under 20 minutes. If you would like to make one of your own, just follow these simple steps. Start out by running a quick iron over the pillow cover to get any creases out. Position the template on the pillow cover and place the wax paper, face down. With a pencil, trace the printable. 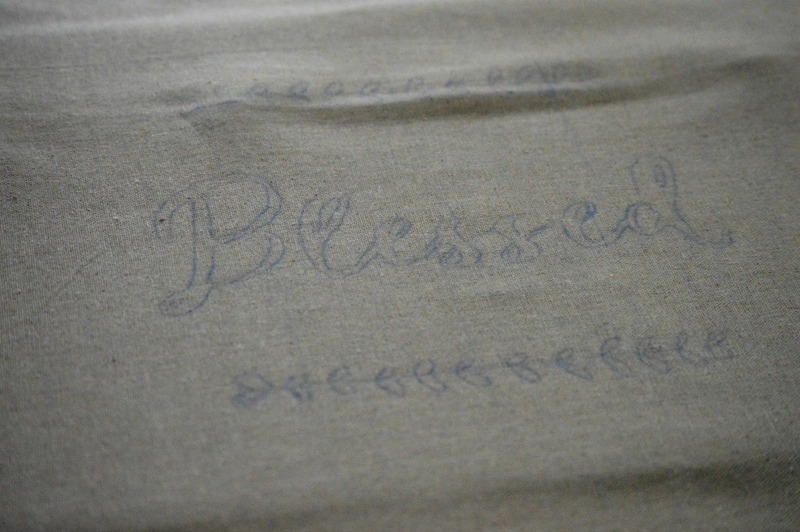 When you remove the tracing paper and the template, you will see the outline of the pattern. Now just place a piece of cardboard inside the pillow cover. 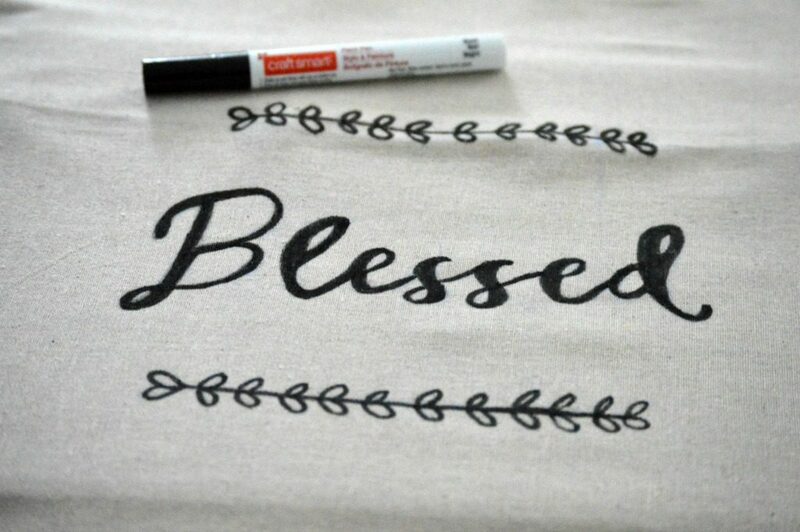 With your paint pen, just trace and fill in. And there you have a new farmhouse pillow cover. 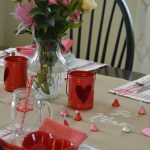 What an easy DIY, for under $5! 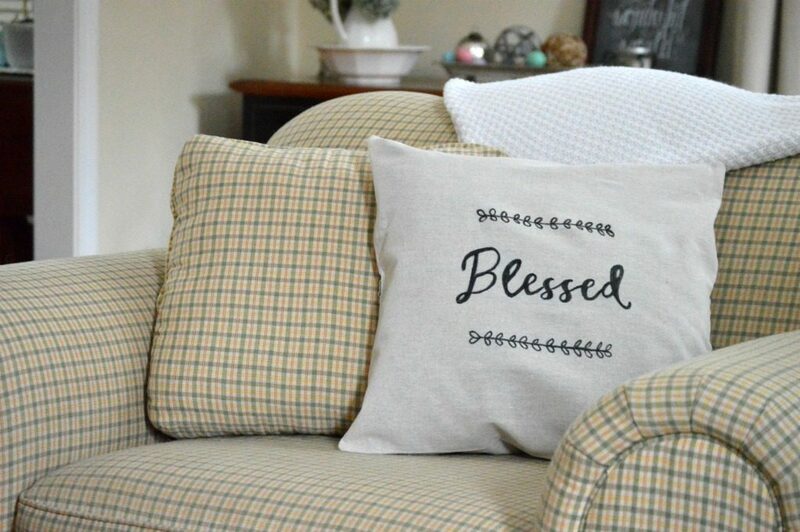 As you welcome spring into your home, consider refreshing your decor and adding some farmhouse charm with this simple, inexpensive DIY pillow cover. What are some of your favorite ways to refresh your home for spring? What little touches add personality to your home? 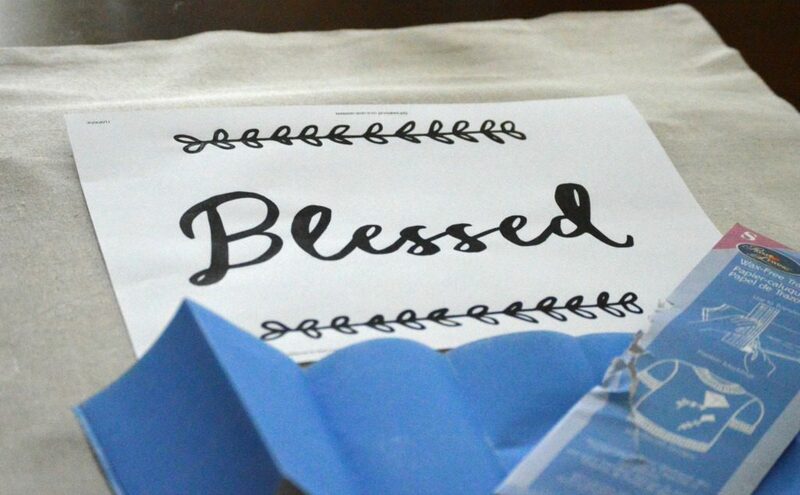 The DIY Sign that Almost Wasn’t…So Close to Amazing! Love this, Lynne. Love pillows and things country. Your photos are excellent for instruction. I’ll enjoy seeing more of your ideas. Thank you so much, Beth! I appreciate your kind comment and hope you are enjoying a lovely spring! That is so cute. And so easy. 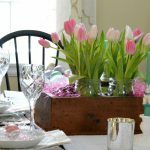 What I nice way to freshen up your home for spring! Thank you, Cathy! I hope you are enjoying a beautiful spring! This is a very nice pillowcase, I am a big fan of Angie Makes as well. 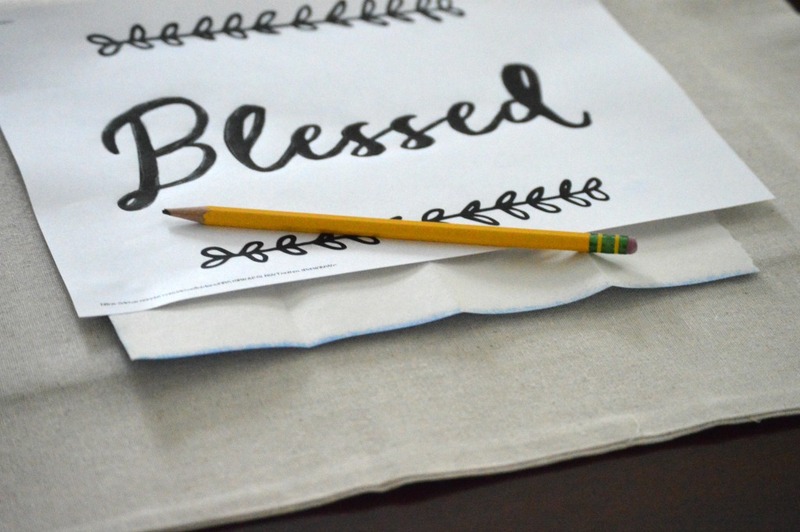 It has been forever since I considered using transfer paper. Thank you for the inspiration Lynn. Have a great week. Lynne your pillow cover is so cute and so easy!! Perfect farmhouse charm 🙂 Thank you for sharing your tutorial! That’s really classy looking. I’ve not used this kind of tracing paper for years, I’d forgotten how versatile it can be. Love simplicity of this this pillow cover, can make my own cover easily. Looks very nice and tidy, love that. Want to thankyou so much for including the text template, makes it lot quicker. Just need to get myself some tracing paper. Have some somewhere but don’t want to waste time looking for it, if you saw my sewing room you’d understand why I say that. Is a tiny room which have cleaned out untold times but always seems to be a rat’s nest, yikes. Hopefully can get pillow cover made end of this week and put word/laurel leaves on it. Enjoy rest of week if you can. Super clever and cute, Lynne! Pinning to my DIY Dreams board! Hugs, friend!